Compatible Canon Ink Cartridge, Photo Black, 340 page yield. Replaces Canon part number: BCI-3ePBK, 4485A003. Compatible Canon Ink Cartridge, Cyan, 420 page yield. Replaces Canon part number: BCI-3eC, 4480A003. Compatible Canon Ink Cartridge, Magenta, 420 page yield. Replaces Canon part number: BCI-3eM, 4481A003. 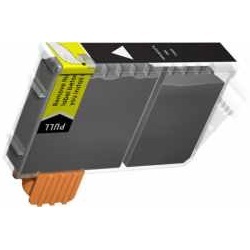 Compatible Canon Ink Cartridge, Yellow, 420 page yield. Replaces Canon part number: BCI-3eY, 4482A003. Compatible Canon Ink Cartridge, Black, 750 page yield. Replaces Canon part number: BCI-3eBK, 4479A003. Compatible Canon Ink Cartridge, Photo Cyan, 420 page yield. Replaces Canon part number: BCI-3ePC, 4483A003. Compatible Canon Ink Cartridge, Photo Magenta, 420 page yield. Replaces Canon part number: BCI-3ePM, 4484A003.